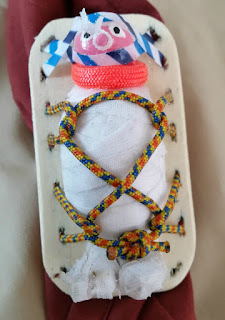 Same basic design as Footsie (In the Tribe of Slides) but with first aid spin. Carved from maple and painted with craft paint. This poor sap is wrapped head to toe with cloth bandages and tied to a backboard.